On the second day of our roadtrip, we headed to Notojima, a small island in Nanao Bay, halfway between Anamizu and Nanao, which is connected to the mainland by two bridges. It’s one of my favorite places in Ishikawa: the annual Notojima Te-Matsuri Craft Fair in October is always a treat, and it’s hard not to fall in love with Notojima’s scenic charms. 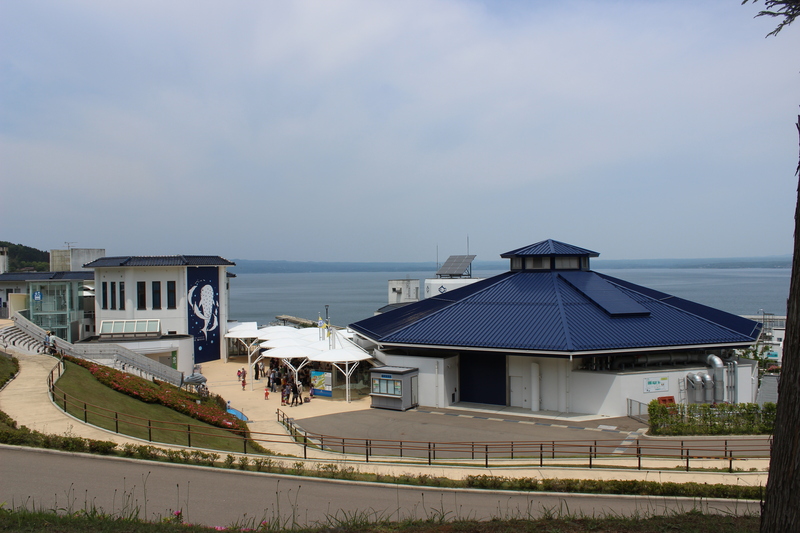 One of Notojima’s main attractions is the Notojima Aquarium (能登島水族館). Tickets are available at conbini nearby (for a discount) or at the door. This cloudy day was great for exploring the aquarium.